Recently i came across this recipe,and got inspired to try this rich dish ,Peshawari Paneer.Known for its richness and creamy consistency i reduced the oil usage needed for this gravy to the atmost maximum,worrying about the extra calories i will end up eating .So to compensate the calorie intake i made phulkas to match this gravy.That was a fulfilled and satisfying dinner at home.If you are not concerned about the calories you could add extra oil while sauting the onion cashew gravy.I have also customized this gravy with less spice,i.e less chilli powder.People who love more spice could increase the amount of chilli powder accordingly. Take the onion,slice it.In a pan add the sliced onions ,cashew nuts and add 3/4 cup of water and place it under flame.Cook until the onions look translucent.Let it cool and once cooled down ground to a fine paste and keep it aside. In a kadai add some oil and saute the paneer,sauting the paneer is optional.I forgot to click the sauted paneer,please excuse me.Remove the sauted paneer ,keep aside.In the same pan add the crushed cardomom , cinnamon sticks,a pinch of jeera seeds and saute few seconds.Add the ginger garlic paste saute until raw smell goes off.Add kasuri methi i have not added it as i did not have it.Add the onion paste saute until the raw flavor goes off again.It might take atleast 4 minutes under medium flame.Then add the salt,chilli and coriander powder and pour some oil above the powders and saute them. Once the gravy looks to be cooked well add the beaten curd ,fresh cream and little bit of water and mix the gravy.Add some sugar and simmer it . Before finishing off add the sauted paneer and cook for few minutes.Turn off the flame. Its ready to be served with chapathi,phulka and naan. Since the season of tomatoes are back and its available for a better price i store tomatoes as much as in my kitchen.We know that this veggie price may get even low during the peak summer time as to Rs 10/Kg.Generally we prepare tomato pickles and thokku when we get loads of them from the market.This time i would like to share a best and simple preserve ,called thokku.You could make this and store in your refrigerator for upto a month.This recipe helps you when are bored to cook something.It goes well with dosa,idlies,chappathi and even as an accompaniment for curd rice.So if you really want to make yourself easy in cooking just use this thokku. Here i have used Naati/Country tomatoes which naturally gives a sour taste.If you have hybrid/bangalore tomatoes ,which are mildly sweetish in nature,increase the amount of chilli powder usage to a tsp.Both the tomatoes gives a variant taste.You could choose your choice of tomatoes for making this recipe. First peel the garlic pods and chop them roughly and just give a pulse mode in your mixer for a coarse appearance.My final coarsely ground garlic measured 1.5 Tbsp.In a kadai add half of the gingely oil and splatter the mustard seeds.Then add the garlic and saute until raw flavor comes out. Do not saute the garlic to brown color,which will spoil the flavor.Add the curry leaves saute again for few seconds.Add the chopped tomatoes give a mix and saute them. Cook them until the juice of the tomatoes comes out and keep the flame in medium,it might take atleast 7 to 10 minutes for the oil to come up.Add the salt and chilli powder.Do not add all the chilli powder at once.Check for the spiciness and if needed add an extra tsp of chilli powder. Add some boiling water to the gravy mix well the gravy and reduce the flame(the method of adding boiling water to your gravy doesnt change the taste of the dish ,whereas adding plain water could give a slight taste variation,and also helps cooking the dish faster and helps the oil to come soon.Thanks to Revathy Shanmugam Mam for sharing this tip in your Tv show).Stir occasionally until the gravy thickens to a thokku consistency.At last add remaining oil and stir a few seconds.Switch off the flame. For kids and adults those who love paneer ,here is a starter recipe with paneer,named Paneer 65.As the recipes contributing with the numerical like chicken 65,refers to give a spicy taste and generally represent a bright red colour,And so my paneer 65 also goes along with it as the name 65 suggests.It's so simple and quick snack to prepare ,also it can be positioned in starter's category too.Anyways,if you or your kid is fond of paneer recipes.Try out this easy snack for them afterschool. Hope this is going to your favorite from now on. 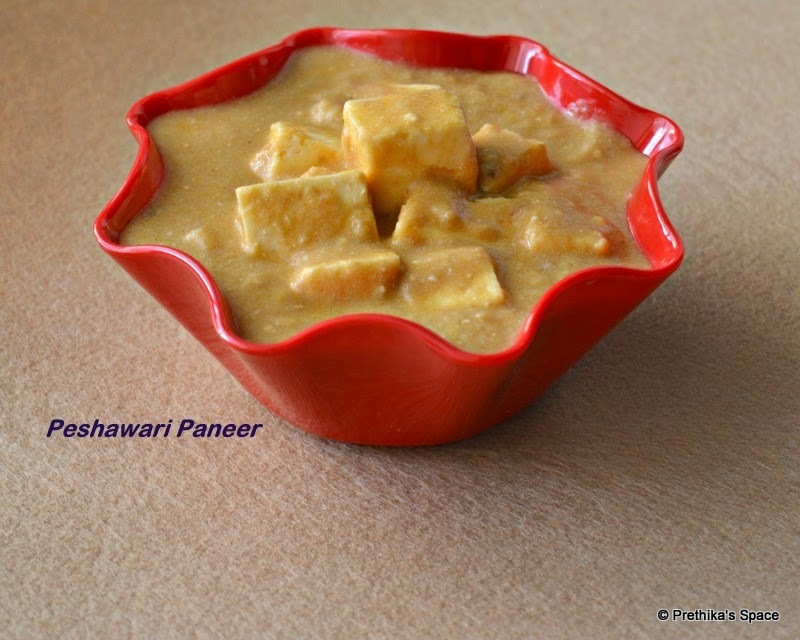 Cut the paneer into cubes.In a bowl add salt,ginger garlic paste mix well with your fingers.Add the paneer and mix well. Add the red chilli powder,jeera powder and mix well until the spices gets coated evenly.Add the corn flour and mix again.Sprinkle some water to get the paneer coated with spices.Donot add water all at once.Then you might end up adding more corn flour which eventually changes the flavor.Allow to sit for atleast 10 minutes and meanwhile heat a kadai with oil.Fry the paneer and drain them in a tissue paper to remove excess oil. 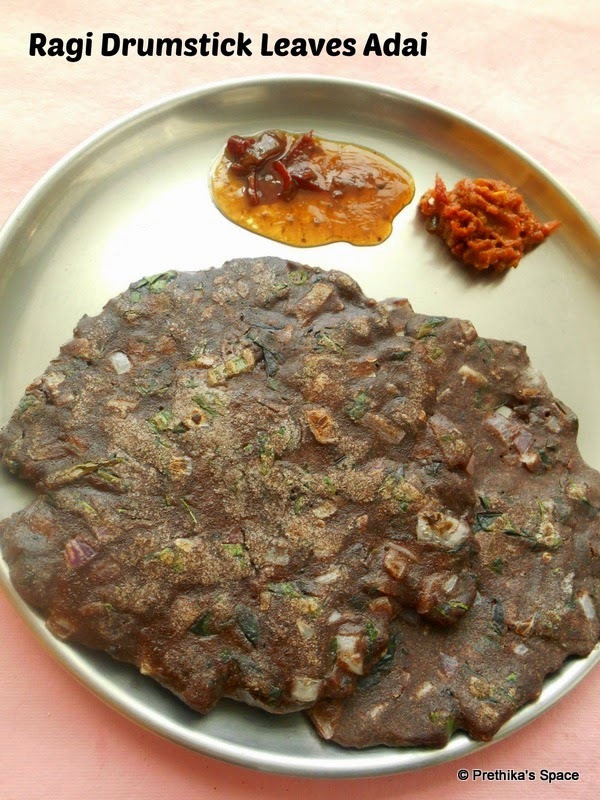 This is a healthy food for whomsoever looking for an iron and calcium rich food.By the way as many of us might know about the health benefits of ragi,which is rich in calcium and so the drumstick leaves too is rich in iron.It's easy to prepare excluding the cleaning process of drumstick leaves.If you are looking a change in your regular food, then ,why don't you try this?I made this adai for our morning breakfast accompanied with a sweet and hot chutney/dip.I have included the procedure of making this quick dip too. In bowl add lukewarm water and drop the tamarind leave it for sometime and extract the tamarind juice.Transfer the juice to another bowl and add the grated jaggery .Mix well until the jaggery has completely dissolved.Finally add the chilli flakes and gingely oil .Its ready to go with the adai. First clean the drumstick leaves and wash throughout to remove the dirt.In a pan add some oil and splatter the mustard seeds .Add the leaves and saute until cooked. Once cooked remove the drumstick leaves from fire and let it cool.In a separate bowl add the ragi flour,chopped onion,jeera,salt and mix once.Then add the cooked drumstick leaves and give a mix. Add water little by little to form a dough.Keep a polythene sheet spread some oil on to it.Take a small sized ball from the dough and place it on the greased sheet. 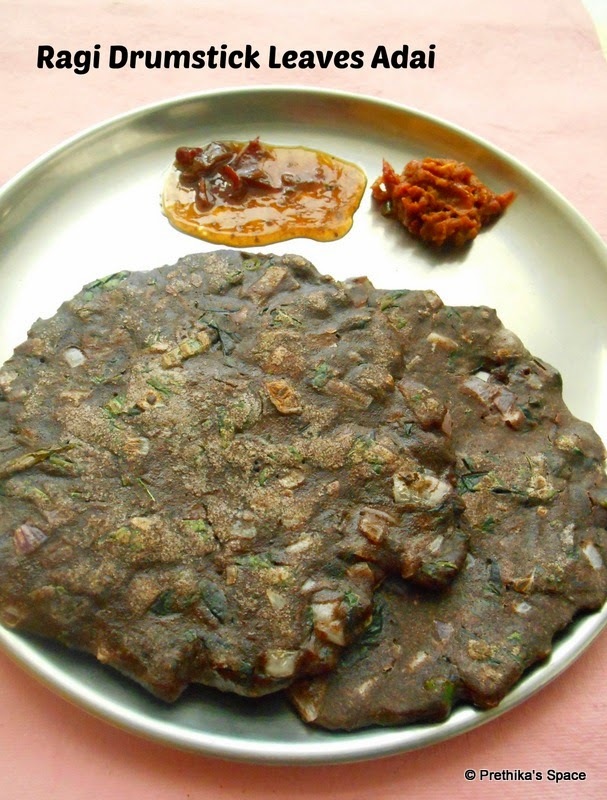 Gently tap with your palm and fingers and spread the dough to form adai.Meanwhile heat the tawa pour some oil and transfer the prepared adai and cook both sides.Spread some oil to the outer surface of the adai.Serve hot with sweet dip/tomato thokku or coconut chutney. In a pan add a tsp of ghee and fry the edible gum.Fry them until they are puffed,as shown in the picture and keep aside to powder them in a mixer .to a fine powder and keep aside. 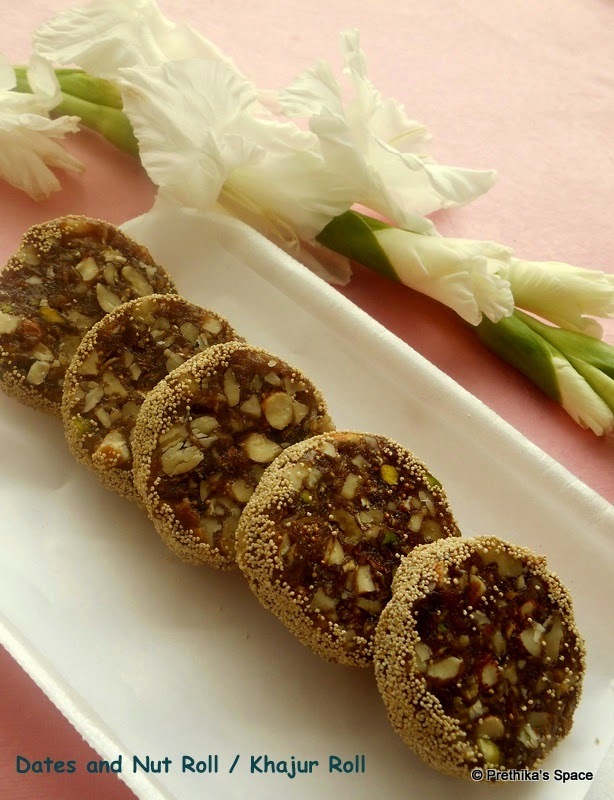 Chop the dates,figs and the other nuts.Now in a mixer powder the edible gum and keep separately. In the same mixer coarsely grind the dates and figs separately(If you have food processor chop dates and figs using them) and keep aside. In the same kadai which was used to fry the gum add the remaining ghee and heat. Transfer the mixture to a wide plate and allow to cool.Knead the mixture with your hands and form a ball.And gently make the ball to a roll of 2.5" width.Place a foil below the roll to cover. 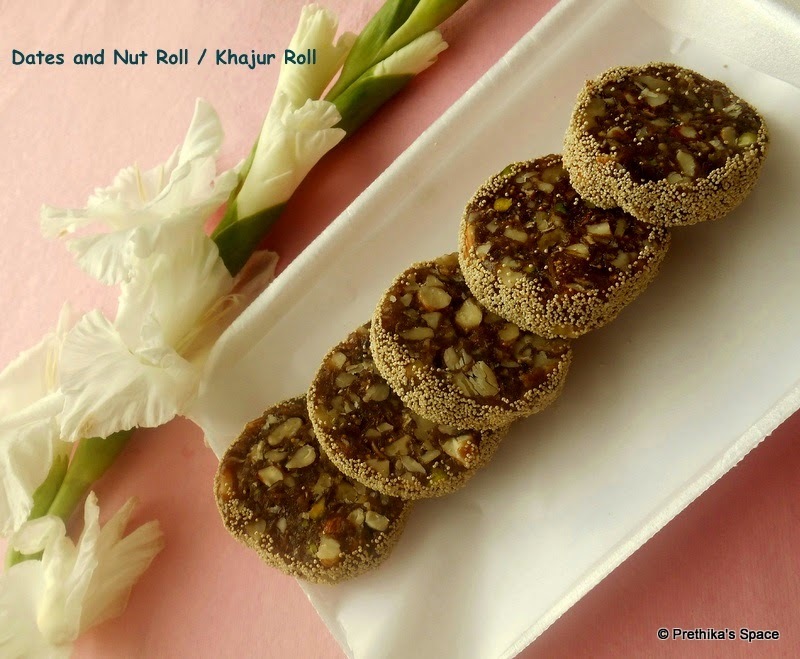 Wrap the roll covering the sides.Once wrapped, with the help of both hands mildly roll the date roll in a table and make them even allover.Place them in refrigerator and wait for an hour.After an hour take the roll out of your refrigerator ,keep a knife ,poppy seeds and a box ready. Remove and unwrap the foil carefully bring out the roll.With the help of a knife cut the roll of 1/2" thickness each. 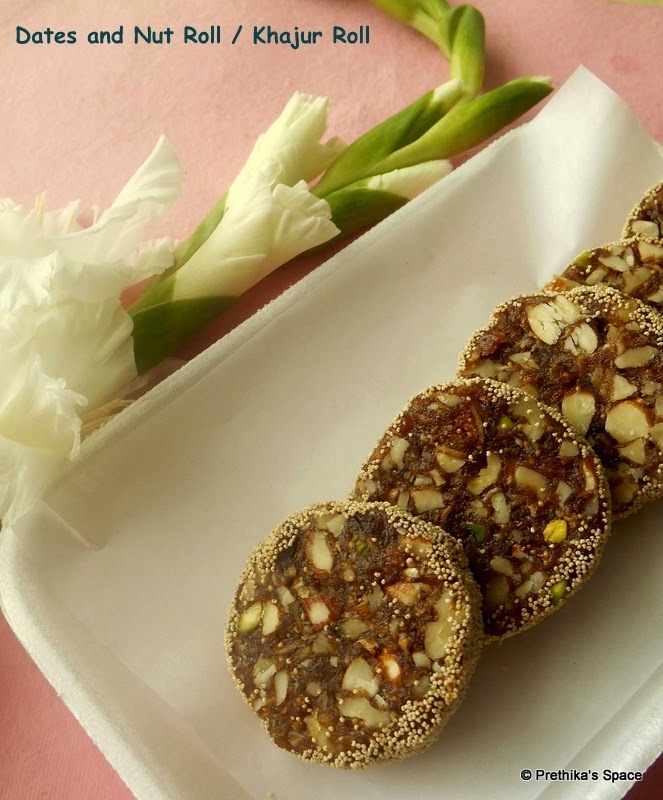 (After cutting the date roll i shaped them again to a perfect round shape)Dip the roll in the poppy seeds and cover allover the edge's and place them in a box. © 2014 | Aromatic-Recipes | All contents Registered | All rights reserved |. Powered by Blogger.